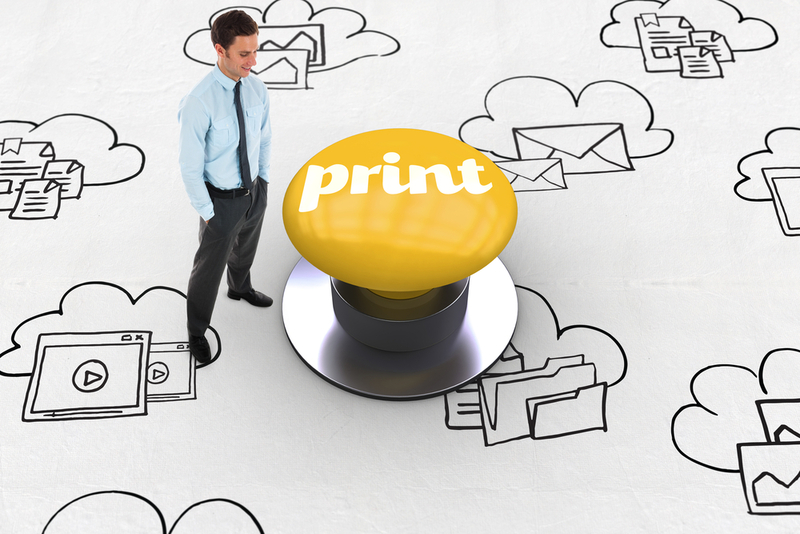 The print services that an organization relies on day in and day out can be placed in the cloud not only for easier access but to reduce costs and increase productivity. Cloud computing is on-demand computing. The cloud provides services and resources when you need them and where you need them, which sounds a lot like the kind of modern print services that Las Vegas businesses need as well. That’s why the cloud is such a good fit for print services and resources and can expand them in a number of different ways. One of the most powerful features of the cloud is that it can make devices available across your entire network. That means that any workstation or other access point can take advantage of any printer registered within the cloud. 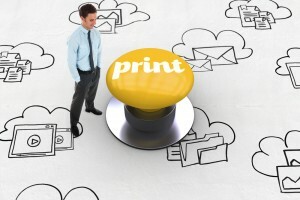 Traditional network printing can achieve something similar, but the cloud offers advantages such as eliminating the need for devices drivers and other formalities. Cloud is much more than a buzzword and actually changes what we consider a network to be. Modern businesses often have multiple physical locations as well as mobile employees, and all of those devices must be accounted for under a single umbrella. The cloud makes it easy for a worker in a Los Angeles office, for instance, to access and print a document to a printer physically located in a Las Vegas office. Most companies rely on document management systems to manage, back up and provide access to their documents. These services are often cloud-based, so it’s a natural fit to have print services in the cloud as well so that documents originate there and are automatically ready for other DMS services. The cloud is much more than a data repository accessible from throughout your network. It can handle processing as well, and that processing can be distributed. That results in lowered costs for resource-intensive print services because a company using the cloud generally needs less processing power, in the form of expensive equipment, to meet their advanced printing needs. 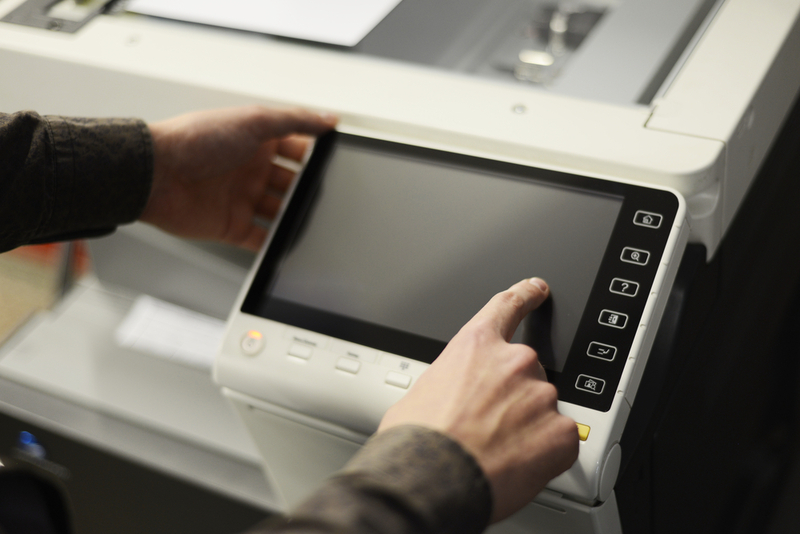 Like laptops, cell phones, and tablets, copiers hold a large amount of sensitive data. To ensure that this data stays secure, it’s important to utilize your copier’s security features, keep it running at peak performance, and dispose of it properly. If you’re in charge of business security for your office, you know how important it is to avoid a data breach. While computers are the office equipment most susceptible to security failures, copiers pose problems as well. 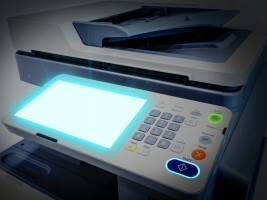 Though you might not have thought about it, today’s copiers are connected to the network and may hold a great deal of sensitive information, from social security numbers to bank account information. Here are a few ways to keep your copier safe. Your copier probably has a number of security features. Become familiar with these features and understand how to use them. Your copier may have a disk override feature, or data encryption capabilities. These features can be used to keep your copier safe, even in the eventuality of theft. Also, make sure you know what data is being stored on the copier. Educate your co-workers about the risks associated with the copier, and make sure that there is minimal private data being stored on the copier. To avoid a security breach, it’s important to keep your copiers in good working order. Consider hiring copier technicians to regularly service your machines. Seek out high-quality copier repair in Las Vegas to ensure that your copiers are always running at peak performance. This will prevent any technical mishaps that could result in security issues. All copiers break eventually, even with proper care and maintenance. If you have a copier that’s reached the end of its lifespan, don’t get rid of it without securing the data. Check to see what your options are. Call the company to see if they’ll provide data disposal services, as many copier manufacturers do. There is also software that can help you wipe any sensitive data from the hard drive. Only dispose of the copier once you’re certain that the data has been secured. Not all Las Vegas businesses require massive, multifunctional printers and copiers. Determining which unit is right for you can help reduce a variety of costs from equipment purchases to paper and toner. Finding the best copier or printer for your business can be greatly beneficial when it comes to finances and expenses. While something smaller may be helpful, perhaps a larger unit that has elaborate features that could optimize the functions of the company. On the other hand, you don’t want to spend money for functions you’re not necessarily going to use. For instance, mobile printing is useless unless your staff can print from their smartphones or tablets. How Much Printing Does the Business Produce? Not all businesses in Las Vegas are going to consume the same amount of paper. Some businesses rely on printing for contracts and client documents while others may use a printer once or twice per week for flyers or memos. Knowing how much paper your business goes through can help you determine if you need a larger unit that is ideal for toner usage and paper-tray capacity. As these units can cost a great deal more than a smaller printer, it may be an expense you don’t necessarily need. What Kind of Features Does Your Business Require? Copiers and printers can come with a wide scope of features thanks to 21st-century technology. Things like print-from-email, mobile compatibility, and high-resolution rates can be seen as an indulgence for a company that doesn’t need such extravagance. However, these features may be able to help you maximize the efficiency of the business. As long as your staff is capable of optimizing the use of a grand copier that does everything, the expense may be worth the investment by increasing operational efficiency. Are You Planning on Buying the Copier Outright? Extravagant copiers and printers can be quite expensive when you want to buy them outright. Costs include the equipment, maintenance, repairs and the costs of continuous use. This is why some businesses prefer managed print services in Las Vegas. Printers and copiers are some of the most utilized pieces of equipment for many businesses. Take a moment and figure out what kinds of features and functions your company requires. It may save you from many of expenses over the long run. It’s tough to be productive at work when you’re constantly stressed out. By staying organized, keeping the office machines running well, and getting rid of distractions, anyone can have a relaxing day at work. Whether it’s due to lack of organization or long hours, the office environment can easily become a stressful place. With a few tips and tricks, however, even the most demanding offices can become a bit more relaxed. 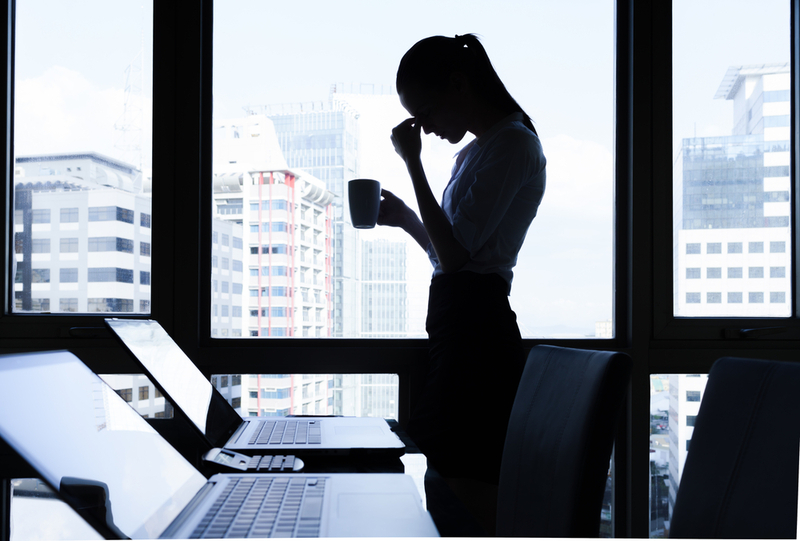 Keep reading to learn how to de-stress your office. If you’ve ever spent twenty minutes looking for the right manila folder, you understand the stress caused by disorganization. Taking a moment to de-clutter your space is sure to save you a few headaches. First, get rid of everything you don’t use on a consistent basis. Throw out the papers that haven’t been touched in three years. Give all of your office tools a proper place, and remember to return them to the right drawer when you’ve finished using them. Once your desk is clean and organized, it’s time to tackle the hard part: keeping it that way. To make sure new clutter doesn’t accumulate, set an alert on your phone reminding you to clean your desk once a week. Soon you won’t even need the helpful buzz of your cellphone to keep you on track. Nothing stops productivity in its tracks like noise. If you find your anxiety rising when the office gets too loud, consider taking steps to reduce the noise. Buy a pair of noise-cancelling headphones, which will make the distracting background noise disappear. You could also invest in a white noise machine, which offers soothing sounds that may keep you relaxed during a long workday. There’s nothing more stressful than a broken office appliance. Keep your printers, copy machines, and computers running well by hiring a professional maintenance and repair service. Choosing a quality copy machine service, for example, ensures that your machines will run better for longer. There’s nothing quite so relaxing as knowing no one in the office will have to page through the user’s manual the next time the copy machine goes on the fritz. Don’t waste money on the office printer. With a few budget friendly measures, any office can make their printer cost effective. If you’ve ever been in charge of buying toner and ink cartridges, you know that the costs can add up quickly. If your office is looking for a budget friendly approach to printing, there are a few ways to save money without sacrificing quality. Here are a few tips sure to help your office with its printing needs. For important documents, printing in high-quality black and white or color mode is the only option. When you’re printing everyday memos and documents destined for the recycling bin, changing the print mode can help you save ink. Draft mode, for example, uses substantially less ink than the default mode, and can potentially double the life of your ink cartridges. Greyscale mode can be used when you don’t need to use the colored ink. If you don’t try to limit your paper usage, you can end up running through reams at an impressive pace. Try printing on both sides of the paper to minimize paper waste. This saves paper and time. You can also reuse pieces of paper that have only been used on one side. As long as they’re not bent or damaged, you can put them back in the paper tray and use them to print drafts on the opposite side. You should also make sure to configure your paper settings to the paper being used. This will help to minimize unnecessary ink wastage. To ensure that your printers are never in need of toner or replacement parts, consider hiring professional print services in Las Vegas. Using one company for all of your printer needs will save you time, energy, and money. You won’t run out of toner at inopportune times, or discover that the printer is broken just when you need to print two dozen copies of the company’s quarterly report. Keeping the printer running smoothly and the office well stocked with toner is a financially responsible decision in the long run.